Sterling Children's Books, 9781454923565, 40pp. When a bug-crazy girl needs to ace a big math test, she finds a clever way to solve her problems, 100%. 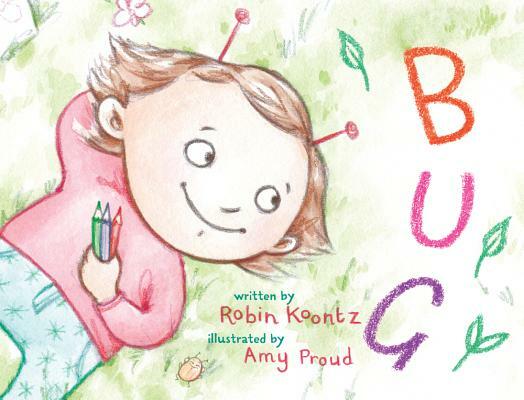 Bug is the nickname-that-stuck for a quirky little girl who's mad about insects and drawing . . . and hates arithmetic. But when her teacher promises the class they can go on a field trip to the science museum only if everyone does well on their math test, Bug knows she HAS to pass. This humorous, character-driven story shows kids who struggle with math (or any subject) that there are many ways to find the correct answer--if you use your imagination and count on the things you love. Robin Koontz is the author and illustrator of numerous picture books and early readers; she has also written several titles for The Boxcar Children Mysteries series and scores of nonfiction books for educational publishers. Robin lives in Noti, OR, with her husband and pets. Visit her online at wordpress.robinkoontz.com. Amy Proud studied Fine Art at Loughborough University and has created picture books with Lion Children's Books, Oxford University Press, and Sky Pony Press. Her illustrations have also been published by Highlights magazine. She lives in England.